November | 2014 | Life is a Crooked and Varied Path. Get On It! Day 30 NaBloPoMo: Finished! On to other projects! I must have the post done by midnight with cross-post and time to spare. I have to actually think of something and not whine and complain about time restrictions because I can’t think of a proper post. Now on to December’s projects! 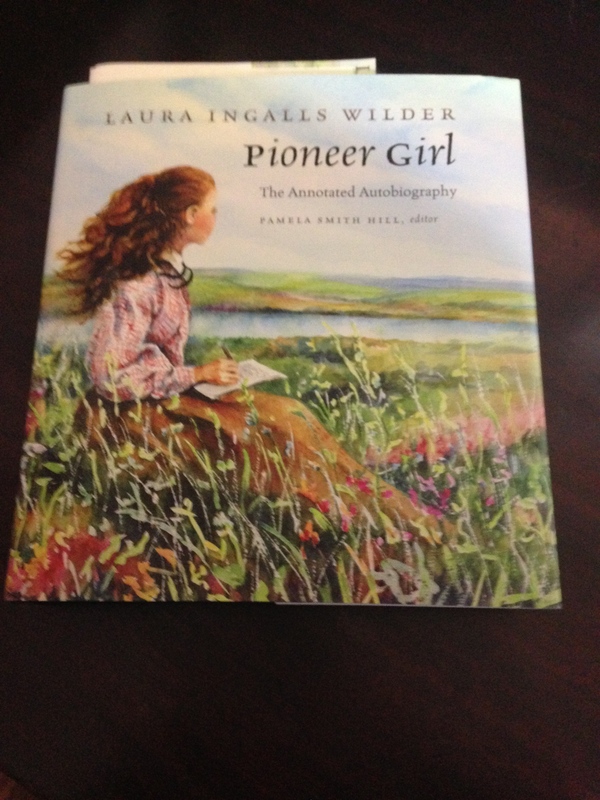 Laura Ingalls Wilder’s First Draft of the Little House Books, titled Pioneer Girl. I was shocked at the $37.00 price tag. I pretty much put it on the someday-maybe-never list and here my husband went and ordered it for Christmas. It is an Annotated Autobiography and boy is it ever annotated. 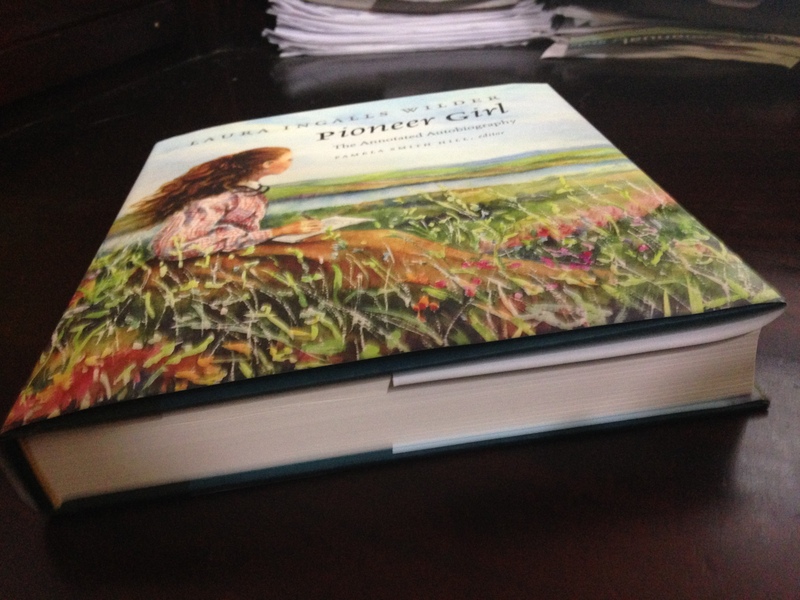 Look-it how thick it is. So. I suppose it is worth the $37.00. It is a 400 page book with a 70 page introduction. The margins are as wide as a side bar on a blog and chock full of information on treaties, territories, manuscript revisions, pictures, maps, illustrations … okay I even found a reference to an instant phenomenon that Teddy Roosevelt created with the phrase Nature Faking. He used it to describe over-romanticizing animal intuitions and exaggerating their traits and habits to push the plot in fiction. (He was getting cranky about fiction authors teaching readers the wrong habits of animals and he came up with nature faking; and it took off.) Isn’t that hilarious? Anyway… this has been a blast. Thank you WordPress and Thank you BlogHer. And thanks to my new friends that I am following and those who are following me. 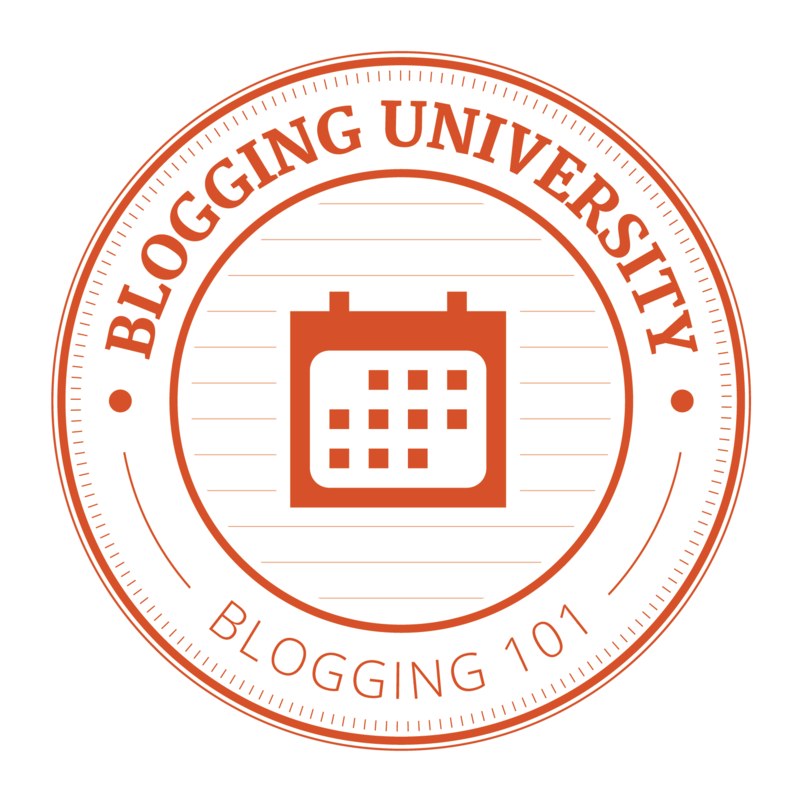 I’m already looking forward to a great new year by retaking blogging 101 in January, and I have a couple of ideas for future blogs posts. Plus I will have two new books to read as two people in my writers group finished their NaMoWriMo projects today! Their next goal is to edit, edit and edit some more, then off to publishing in the next coming months. YaY! Boy did I read. It looks like the community is doing well on their NaMo’s and monthly challenges. I saw some pretty pictures and left some comments. Hope I wasn’t too ditzy. I know I was in some. Goodness marks the half-way point as it is the 3rd title in a 6 book series. Day 28 NaBloPoMo; Motivation 3rd post of 3 part series. In the first parts I talk about how fleeting motivation is and I talk about how I had to work on non-motivational skills to carry out some of my goals. That leaves, what to do when motivation strikes? Go for it! Like I said motivation is fleeting, capture it when you can. Just remember to keep things balanced. Shower, cook and eat your meals, get enough sleep, and spend time with loved ones. This is where the work in my non-motivational skills hit home. If I went to bed which can halt my motivation I can keep up the task even though my motivation waned. For instance this month. I was able to meet multiple goals. My personal NaMo project was to create a timeline for a fiction series that I might get to someday. Once I found out about the blog posting challenge, I thought that was a great way to build a new blog. I was highly motivated. But, since I did some work to not rely on motivation, I still was able to get some work done on my timeline and I kept at it for most of the month. Then my editor returned my manuscript for my next book and I was highly motivated to get it published. After that, it was a daily fight between a daily blog post and to format daily until published, until I got it done. Not to mention my hours increased at work; cutting into my writing time and my cleaning time. Now that I mention it, I was also not as motivated to clean my floors or my oven, instead I kept choosing to work on my blog and formatting my book. Since I wasn’t waiting around for motivation to strike, I found pockets of time to clean and I finished a day a head of time. I did short myself of some sleep, but the culmination of everything is winding down. Thanksgiving is over. I published my book and I’m having a free giveaway day tomorrow, (Saturday) and another one on Cyber Monday. I have a new project simmering and NaBloPoMo is ending this weekend. The only thing that took a real backseat this month is my exercising and running. Earlier this year, my running friend wanted us to join in on the jingle run we have right before our Christmas light parade. Umm, I guess that was tonight. Like right now. Well motivated or not I blew that goal. Humph. Maybe there is a New Years Day run…. Thanksgiving is an American Holiday. It is about the only holiday that includes everyone. EVERYONE. Thanksgiving calls for unity in taking one day to be thankful. This holiday expands across all religions, all economic statuses, all races. Yes, even the Native population, for we are told yearly that we need to give thanks to the Natives for saving our butts on that first year. Why not show our thanks now? These days, there aren’t very many opportunities for us to be united anymore. The majority used to go to church on Sundays. We sat down to supper; roughly the same hour. With only 3 or 4 channels on TV, we watched more of the same TV shows. We all watched the moon landing. We all watched Roots together. We all tuned in to find out who shot JR.
We were more united with 8 hour work days and evenings off. We had weekends on Saturday and Sunday instead of having two days off any time of the week and then consider it lucky if they aren’t split up. You can be homeless and still be thankful for your breath. You can be in mourning and be thankful for sharing their lives. Anyone can be thankful that we have another day or another hour. You don’t need to be shamed into being thankful for what you have because others aren’t as fortunate. 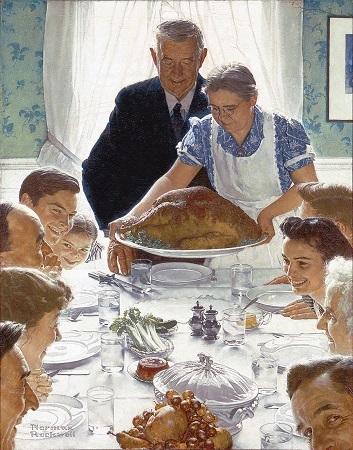 Thanksgiving used to give us that one day a year where we were all UNITED in something positive. Now on that day people have to go to work, and find day care, while the rest of us rush into their place of employment to fight each other over getting in on the best deal. When are we all truly united any more? During times of strife? Anger? Mourning? Even then we usually stand divided. When was the last time we were all united? 9-11? Thanksgiving was created as a national holiday so we could be awarded the day off to rest and spend time with the family in giving thanks. This is why I do not shop on Thanksgiving. Think you’re having a good old-fashioned Thanksgiving meal? Think again! I’m not sure if this is a smart thing. I am going to post while sleep deprived. It is a holiday week and as the snow falls, I’m actually caught up on everything two days before Thanksgiving. Today, at work, while I was still feeling the stress of just trying to get things done and having nothing but hurdles thrown at you, I thought about the last 7 years. I used to run sleep deprived like this all the time. Highly strung out on stress, being stupid because of it. Today was a good reminder of that. I kept forgetting this and dropping that and I kept gravitating toward tedious monotonous tasks just so I wouldn’t have to think. But I did start to think. I’ve made huge strides in improving my life, my outlook and my attitude and I am so much better off for it, but I began to wonder am I really happier? I know if I need a picture I start heading towards the ones from 7 years ago. I think these are the ones that look like me. Thinner. More active. All involved with the kids. I certainly look happier in those pictures. So how come I don’t go after any happy current pictures. Aren’t I happier than I was 7 years ago? Truth is, I am more content that I was 7 years ago. Being broke for so long has taken its toll, it is so restrictive. Back then I may have been able to get happier or have happier moments, but I would have equally low moments, full of stress, more sleep deprivation than this, more fear of … fear and judginess and wondering when I would “arrive” so I could quit trying to prove myself. I kept waiting for the day where I could quit striving and start living. Actually that day never came. I pretty much said screw it all and then was able to start living. And all that came after getting caught up on some rest, cooking and eating regularly, and trying to eliminate everything I didn’t want to do. So would I trade places with myself from 7 years ago? No. I wouldn’t. But, I will still grab a 7 year old picture to represent myself. Ha Ha. Day 24 NaBloPoMo; I almost said forget it. I’ve worked so hard on finalizing my third little commuter read on “Goodness” that I almost said, FORGET it. I’m not POSTING today. Until I remembered some tidbits my husband found this morning. He always finds the most fascinating things. He’s the one that should have a blog to archive this stuff and share. Neatorama is one of his resources and today they posted some things about pilgrims in America. Enjoy! Happy NaMo Everyone! And if you aren’t … Happy Writing!